In this project of pearl and crystal bracelet, you’ll learn the way to make beautiful marine-style beaded bracelet by using simple beading techniques! 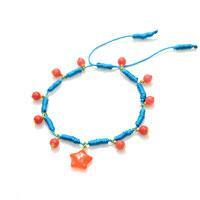 Super for the upcoming summer season! 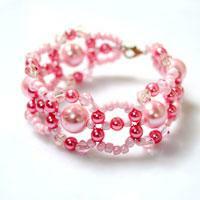 How to make bracelets with beads and threads? 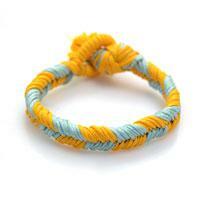 Just get a length of thread and we’ll show you a super easy way to knot between beads. 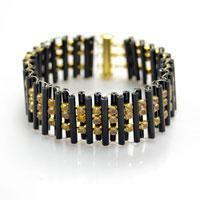 This bracelet will take you less than 20 minutes! 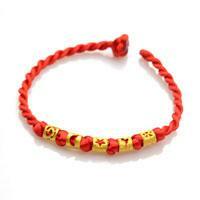 Here will show how to make a sliding knot bracelet step by step. Besides, this is also a quick guide for understanding the new use of sliding knot (as main jewelry beads here)! Easy and worth trying! 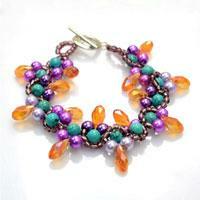 Wanna learn to make an elastic, clustered-style, beaded bracelet? Here, you can collect all the elements in. 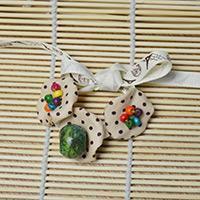 A new way making a bead cluster included! Super easy and extraordinary! Here shows a strikingly cool way to make wide cuff bracelets by using 4 blank brass bangles and a length of 6mm suede cord. They make a great accessory for both male and female! By clamping three lengths of rhinestone cupchains with black bugle beads, you can make a uniquely bling and vintage bridal cuff bracelet within an hour! 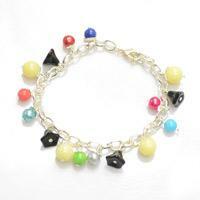 Looking for how to do some easy-to-make bracelets? Just select 4 main types of beads in four contrast colors and learn to make a bohemian bracelet that is all the rage recently. 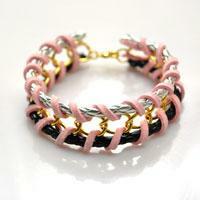 Wondered a quick way to make a chain link bracelet? 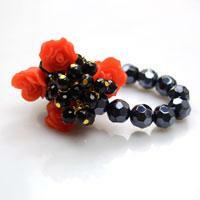 Just check out here and adorn your own piece with anything you want to, such as an easy beaded flower! 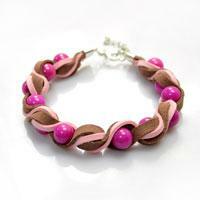 This is a pretty transformation to traditional a 3-strand bracelet. 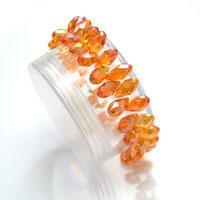 By adding the flat-round acrylic beads you can completely give the bracelet a brand look like scale bracelet. By using inches of elastic cord, a stack of crystal glass beads and glittering rhinestone beads, you can make easy beaded stretch bracelets as much as you want! 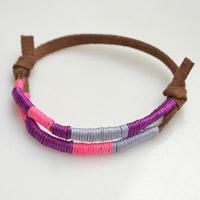 Here shows a two-color braided friendship bracelet pattern. 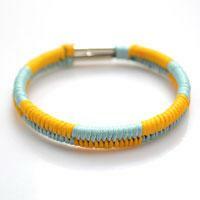 If you know how to do a 3-strand bracelet, then you can make this fishtail weave bracelet in quite easy way! 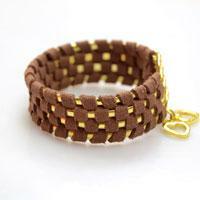 There are a large number of the woven chain bracelet tutorials. 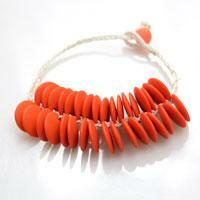 Here, by using the necessary chain and suede cord, you are able to make a really chic design within 30 minutes! This suede cord bracelet tutorial will teach you the way sewing a twisted suede cord and bead bracelet in super cool style. It can be suitable for both adults and children! 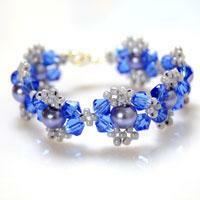 This is a step-by-step tutorial on how to make a super easy glass bead bracelet. All things needed are a strand of glass teardrop beads and inches of clear elastic cord. Do you love Chips Ahoy cookie? 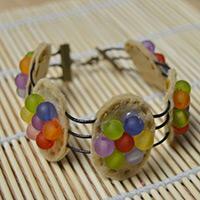 If so, you will love this leather cord bracelet with felt Chips Ahoy cookies too! Come here with me to learn how to make it! 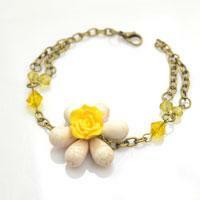 Today I’m going to teach you how to make a fabric flower bracelet with wood beads and a green stone. There are three fabric flowers which are super easy to make.